320 Rosecrans Ave is an ocean view property, located in the heart of North Manhattan Beach. It features a front 3-bed/2.5- bath house and a 2-bed/1-bath back unit. The 2,000 SF building sits on a full-sized sand-section lot with back alley access to the two-car garage. The front house was remodeled several years ago and features two private patios and a spacious rear yard. The rear 2- bed/1-bath unit boasts a private patio as well with beautiful ocean views. 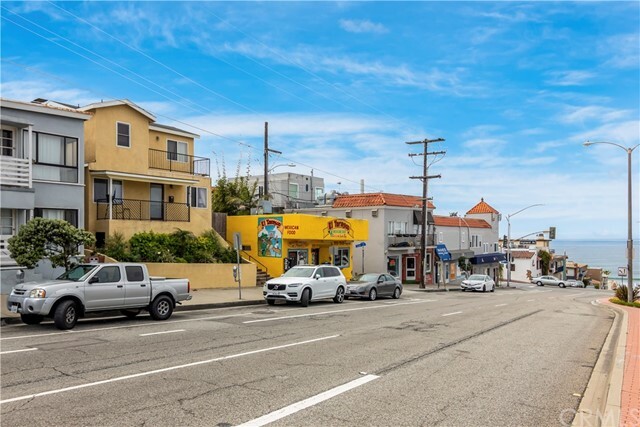 Given the great sand-section Manhattan Beach location and upside in market rent potential (40% increase in GSI), this property is an amazing investment opportunity! Two parcels. 20 & 22 Horizon Ave consists of a 4 unit multi-family building on one lot and a single family home on the adjacent parcel. 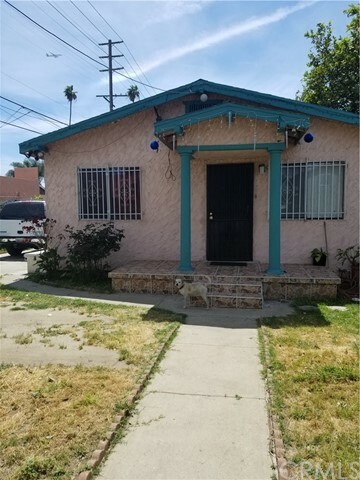 Steps from the sand in Venice Beach with parking for 10 cars, this property presents a unique investment opportunity. Amazing cash flow as an income property with the potential of 80% vacancy and immediate upside. Additionally, plans for a 4 home, small lot subdivision come with the property. Full package is ready for Coastal Development Permit submission. Property works as an A+ portfolio asset for an income property buyer, or as a rare development property that carries itself while plans are run through the City and Coastal Commission. Buyer and Buyer's agents to verify and rely on their own investigations of the zoning, permits, development potential, and all aspects of the properties. Located in the highly desirable Sunset Park neighborhood of Santa Monica just a short stroll from Lincoln Blvd and Rose Ave, this charming duplex is ideal for California living! This property holds an intimate charm that could only be found in such a sought after community. Enter through the front gate and find yourself amongst the lush mature trees and foliage providing a truly serene and peaceful setting. The 2-bed/ 1-bath front house features hardwood floors throughout, spacious open living/dining area, as well as a tranquil front yard retreat. The rear home offers 3-bed/ 1.5-bath and generous outdoor space provided in the front yard and patio - a perfect setting for entertaining guests or soaking up the sun. Situated in a very high demand rental market, this property is great for an owner/user investment - live in one and collect income from the other unit. Moments to trendy shops and restaurants on Rose, Lincoln and Main St as well as nearby Venice and Santa Monica beaches. Excellent Investment Opportunity. Duplex with two separate Units, both units feature 2 bedrooms and 1 bathroom. Both units are rented. Great Building with Excellent Return and continued Rental Upside. Each Unit has it's very own electric and gas meter. Conveniently located near public transportation, local retail, and near the 105. 110. & 10. Freeways. Classic 1925 California Bungalow Home plus Duplex on prime corner lot in Hollywood. Restore and rent or live in main house. Front house is 2bd/1ba with original windows, breakfast room, updated kitchen and bath, built-in buffet in dining room and private front yard and porch. Needs TLC. Kitchens and bathrooms in all three units have been updated. Great opportunity for investors and developers. Large 7002 SF corner lot - zoned R3. Buyer to do their own investigation. Collect rent while working through entitlements and permits. This property has tremendous potential in premier Hollywood central location. Walking distance to many popular restaurants, shops and theaters on Hollywood, Sunset, La Brea, Highland and Melrose. Please do not disturb tenants. AS-IS. Submit all offers subject to internal inspection. Buyer to cooperate with seller's IRC Section 1031 tax deferred exchange. Seller selects services. Preference is to be sold along with neighboring property at 2008 Marshallfield Ln. Presenting 2006 & 2008 Marshallfield Ln. This unique package deal includes two separately parceled side-by-side triplexes each on it's own 7,500 sqft, R2 lot, to offer 15,000 sqft of land. Each property consists of (1) 3-bedroom 2-bath front house, (1) 3-bedroom 1.5-bath townhouse style unit, and (1) 2-bedroom 1-bath unit. All units are well kept with private washer & dryers. There are 5-garage spaces on each lot with additional parking on-site. 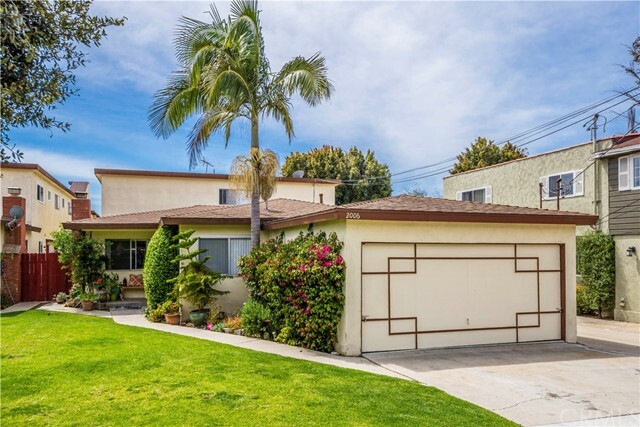 Opportunities to own this large of a piece of Redondo Beach do not come around often! 1614 Lyndon St is a charming duplex located in the heart of South Pasadena. The property features two buildings comprising of a front unit with a mix of three-bedroom, two and a half-bath which was built in 1913 and a back unit with a mix of five bedrooms, two and a half-bath built in 1996. The property offers a classic appeal with a well landscaped front yard and an enticing porch area. Lyndon is lined with beautiful trees for a stunning backdrop.Situated just off Fair Oaks Avenue, the property boasts an excellent walk score of 89 and benefits from both a community feel and the proximity to shopping, dining and entertainment options. The South Pasadena Unified School District is home to 5 award-winning schools including Marengo Elementary School, South Pasadena Middle School, and South Pasadena Senior High School located just 0.3 miles from the building. The property is also walknig distance to the South Pasadena Farmers market and the public libarary.